MIAMI, FL – 3G Productions supplied L-Acoustics K2 enclosures, KS28 subs, ARCS Wide front-fill enclosures, and K2’s for the fourth annual Rolling Loud music festival. Officially hailed as “biggest hip-hop and rap festival in the world,” Miami’s fourth-annual Rolling Loud drew a sold-out crowd of 70,000 enthusiastic fans over three days this past May to hear L-Acoustics loudspeaker systems drop the bomb, bass-heavy beats of their favorite artists. 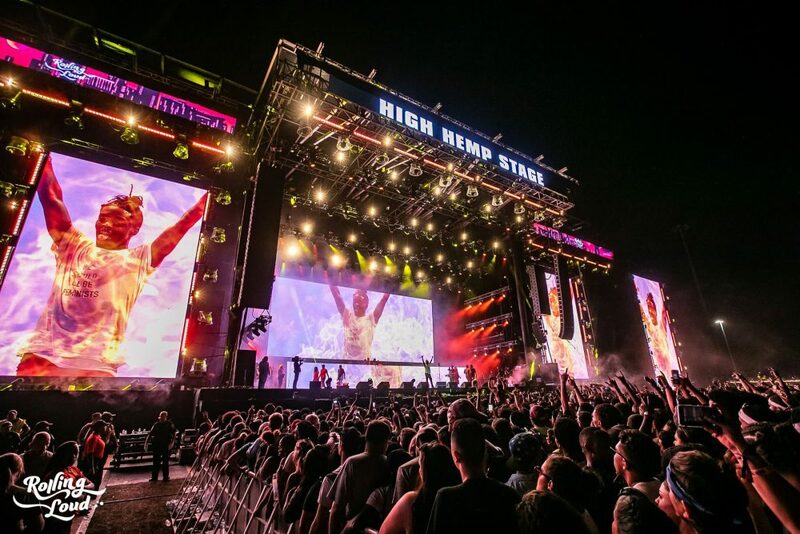 Hosting performances by more than 140 of the genres’ top stars—including headliners J. Cole, Travis Scott, and Future—the festival featured eagerly anticipated sets from Lil Uzi Vert, Migos, Post Malone, N.E.R.D., Meek Mill, Wiz Khalifa, Lil Wayne, Young Thug, 21 Savage, Lil Pump, Rick Ross, The Diplomats, Lil Yachty, and scores of other artists. With ticket prices for Rolling Loud starting at nearly $400, extending up to over $900 for VIP packages, the entire festival experience—including the sound—had to be of the highest quality, and all reports back were extremely positive, Serafini enthuses. For more information on Rolling Loud, visit www.rollingloud.com.